Home / Cities / Badal demands ouster of Cong minister over texts to woman IAS officer. With a Punjab Cabinet minister allegedly sending inappropriate text messages to a female IAS officer, Opposition parties on Wednesday demanded the Chief Minister Amarinder Singh to sack the minister. 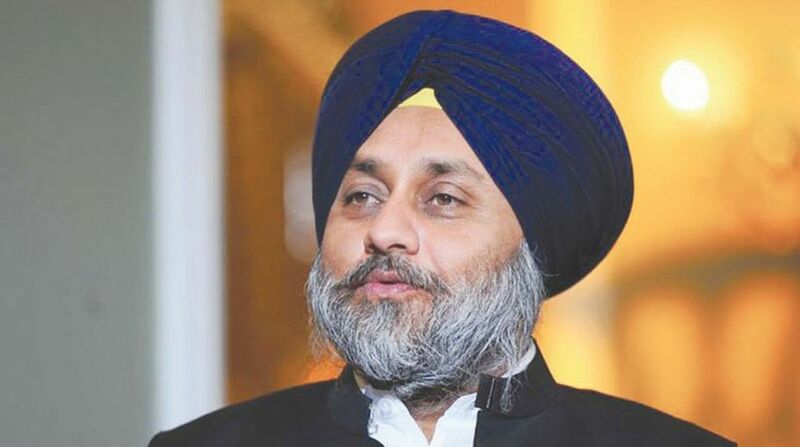 Shiromani Akali Dal (SAD) president Sukhbir Singh Badal said the CM should unmask his cabinet colleague who had outraged the modesty of an Indian Administrative Service (IAS) woman officer by sending her indecent messages. In a statement here, the SAD president said as per media reports no action was been taken against a cabinet minister who had sent indecent messages to a woman IAS officer more than one and a half months back. This, the media reports said, was despite the fact that the IAS officer had brought the matter to the notice of her superior officers and even the CM. “Rahul Gandhi should explain whether he is complicit in this cover-up exercise along with the Punjab CM? There is no way a minister accused of such abhorrent behaviour can sit in a cabinet where decisions regarding safety of women have to be taken. If he is not removed immediately it will be perceived the top Congress leadership is not serious about protecting the honour of women,” the SAD president said. “The Congress and Rahul Gandhi demanded Mr M J Akbar’s resignation from the union cabinet after the latter was accused of sexually harassing women journalists in his role as an Editor, but has been actively sheltering someone for similar transgressions committed by him as a cabinet minister,” he said. The SAD president said the IAS officer whose dignity has been violated by the minister should be given justice and a clear message needs to be sent that such transgressions will not be tolerated however high and mighty the perpetrator may be. The Aam Aadmi Party’s (AAP) woman wing has also demanded to sack Punjab cabinet minister for harassing a senior woman officer in state government. AAP woman wing President Raj Lali Gill and copresident Jiwanjot Kaur in a statement issued here on Wednesday told CM to take immediate action against the cabinet minister who is continuously harassing the woman officer by sending objectionable messages on her mobile number. While demanding to sack the minister, the AAP women leaders said that an immoral act by a minister can’t be tolerated. Jiwanjot Kaur said that morality demanded that cabinet minister be sacked immediately and a special committee of senior woman officers is set up to record the statement of victim and give her justice. They said that immediate action against the minister would have strengthened the #metoo campaign in India, she said.